Royal Medic blends broken red Ganoderma spore and Agaricus Blazei Muril, which is regarded as the "king of mushroom" to develop an effective supplement - "Royal Medic Broken Ganoderma Spore". 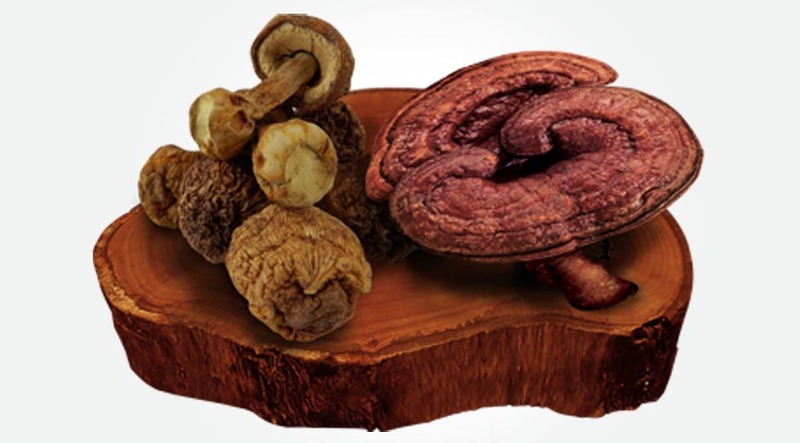 Agaricus Blazei Muril can promote the absorption and health enhancing effect of red Ganoderma spore. This product avoids the invasion of harmful organisms, which is suitable for all ages for prolonged consumption. Royal Medic works with the institute of Chinese Medicine under a well-known university in Hong Kong to conduct a preliminary clinical trial on "Royal Medic Broken Ganoderma Spore". The test result indicated that this product may assist in stabilizing blood lipid, blood sugar, cholesterol*. "Broken Ganoderma Spore" is the only product within its category which was evaluated by preliminary clinical trial and preliminary cell test. *This product is not registered under the Pharmacy and Poisons Ordinance or the Chinese Medicine Ordinance. Any claim made for it has not been subject to evaluation for such registration. This product is not intended to diagnose, treat or prevent any disease.